Congratulations! You have just landed an interview for what could be a wonderful job. Now what? A successful interview will be essential for you to lock in a job offer, and this is your chance to impress the interviewer enough to get hired. Here’s advice on how to ace a job interview, including tips on every aspect of the interview from preparation through follow-up. Knowing as much as possible about the company’s past performance and future plans can also help you better explain how you can add value to the company. Before the interview, review the company’s website, particularly their “About Us” section. Also check out their LinkedIn, Facebook, Twitter, Google+, and other social pages to see what information the company is sharing. Review Glassdoor reviews, salaries, and interviewing information. Don’t be afraid to contact your prospective employer to request details on the position you are interviewing for. The more information you have, the more comfortable you’ll feel while you’re talking to your interviewer. Check LinkedIn to see if you have contacts at the company you can use to get insider information. If your college has an alumni network tap that, as well. Ask your connections about the interview process they went through when they were hired, ask what they like — and don’t like — about working for the organization. Learn as much as you possibly can about the company and the job for which you’re applying. It will help you know what to ask, as well as giving you insight into the role. Also be ready to respond when you’re asked if you have any questions for the interviewer. Prepare a list of questions you want to ask the interviewer. 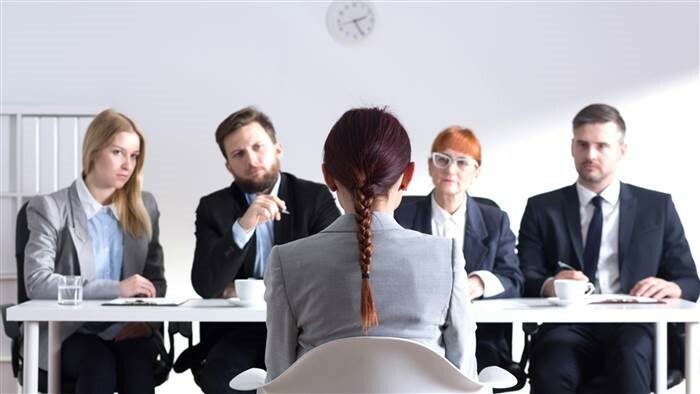 Remember, you aren’t simply trying to get the job — you are also interviewing the employer to assess whether this company and the position are a good fit for you. In addition to standard interview techniques, behavior-based interviewing is becoming more common. It is based on the idea that a candidate’s past performance is the best predictor of future performance. Behavioral interviews involve you answering questions about how you have handled past situations at work. When you arrive, introduce yourself to the receptionist. Make sure you know the interviewer’s name and use it as soon as possible during the interview. If you’re not sure of the name, call and ask prior to the interview. During the interview, try to remain as calm as possible. Ask for clarification if you’re not sure what’s been asked and remember that it is perfectly acceptable to take a moment or two to frame your responses so you can be sure to fully answer the question. In addition to doing everything right, it’s important to avoid doing the wrong thing when you’re trying to get hired for a new job or a promotion. What shouldn’t you do when interviewing? Check out the most common job interview mistakes, blunders, and errors interviewees make before you start getting ready to interview. Some of them are minor. Others can make or break your chances of getting hired.